Normally when you buy some goods from overseas the freight charges make up a fair portion of the costs. What I try to do it add in some small items to the order to further sweeten the deal. 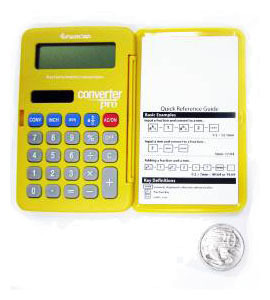 In my last order I added a fastcap convertpro calculator, these things can be bought for under $20 Australian (I’ve seen them as low as $11US) and convert between metric and imperial. Yeah I know its not that hard to do but since I broke by old workshop calculator I thought why not. 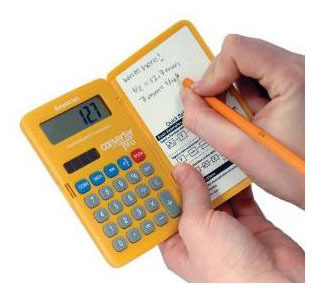 The unit comes in a pretty standard bubble plastic packaging with basic instructions on the packaging and on the inside of the calculators hard case. The hinge and lock look like they are up-to the task and should hold up to workshop use. Physically the calculator is a touch larger than a deck of cards but not so small that my fat fingers struggle to hit the correct buttons. Build Quality seems pretty good and the hinged hardcover is just what I need to keep the crap out and stop me from smashing the screen. Obviously the calculator has all your standard functions but with the added bonus of being able to convert between imperial and metric (including fractions) very easily. All you need to do it type in the figure, what it is, imperial or metric then hit convert…. 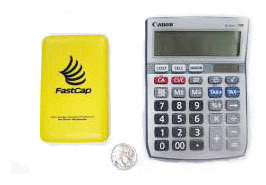 So if you are looking for an order sweetener consider the fastcap converterpro. Most online resellers seem to stock it. This a great little tool! I have had it for several years. I would like to get a new one but can not seem to find it.